The Borno State Government with World Health Organisation (WHO) targets nearly a million children in the four days seasonal malaria drug therapy to prevent them from parasites that cause the disease. 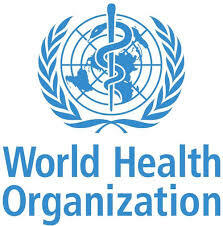 WHO Health Emergency Programmes Manager, northeast, Dr. Collins Owili, said â€œseasonal malarial chemoprevention campaignâ€ was introduced in Borno State to reduce high incidence of the disease and deaths among children in the area especially following displacement of thousands of families in the area. â€œIn response to high burden of malaria in north-east Nigeria, WHO initiated a seasonal malaria modeling exercise in 2017 aimed swiftly reducing the toll of malaria by saving 10 000 lives among children under five in Borno state,â€ Owili said after the commencement of the 4th circle of the anti-malaria campaign, in Maiduguri, on Sunday. He said the exercise has proven to be effective, adding that the organisation decided to continue the fourth this year. â€œIt is hoped that lessons learned from the campaign in north-eastern Nigeria can be applied in other emergency settings across the world,â€ he said. The Borno State Malaria Programme Manager, Mala Waziri said the burden of malaria in the state has evidently reduced since the exercise started in 2017. â€œAlthough, we are yet to conduct an impact assessment of the seasonal malaria chemoprevention exercise, in Borno State, it is evident that the intervention has helped to reduce the incidence of malaria in the household as less cases are reported in the clinics this year compared to previously,â€ he said. Malaria accounts for more than 50 percent of all recorded causes of death in Borno State, a WHO 2017 annual report stated. Children between the ages of 3 to 59 months are targeted in the seasonal anti-malaria campaigns.